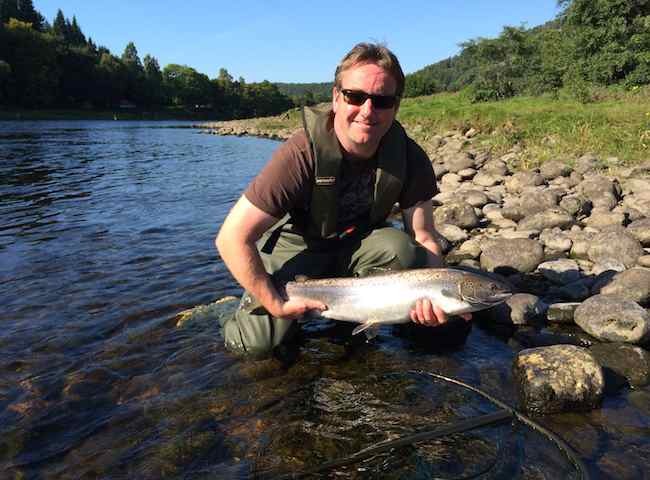 On all salmon fishing event days there are professional River Tay salmon guides present to assist you in creating this highly satisfying scenario. 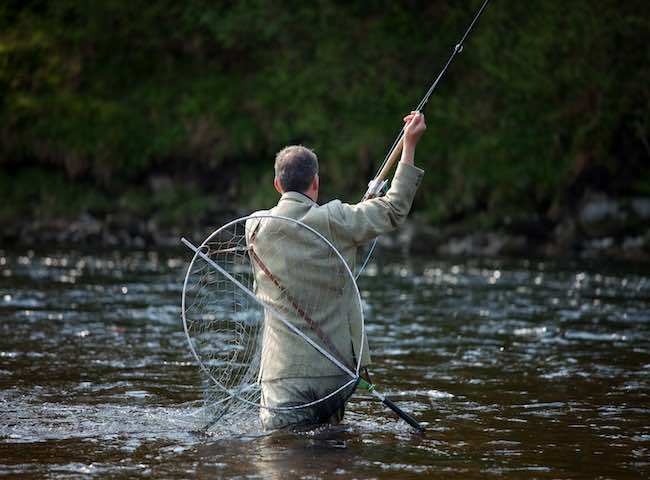 Here's a classic Speycasting shot of yours truly out on the River Tay demonstrating the traditional Scottish Spey cast. All salmon fishing event days are inclusive of an intensive lesson in this 'art form' cast. 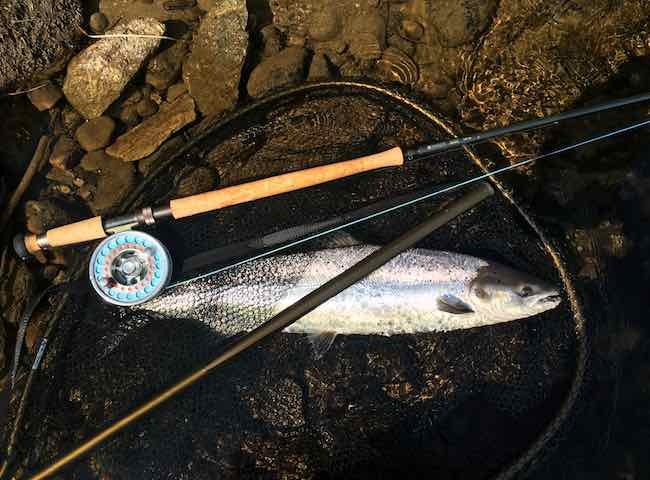 Here's a perfect example of a fresh run fly caught River Tay salmon. 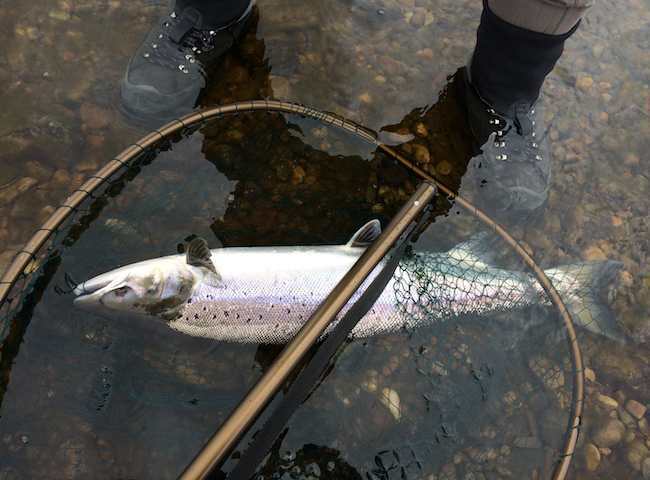 Book a salmon fishing event and experience the magnificence of these fine fish for yourself.